Be protected, Be Prepared & Be Practical with the Olympian triple threat personal protection device. 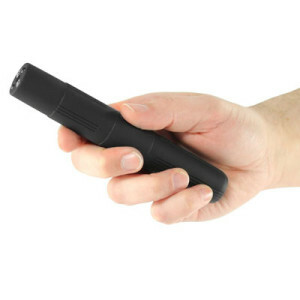 Stun gun, flashlight and pepper spray in one compact, handheld design. 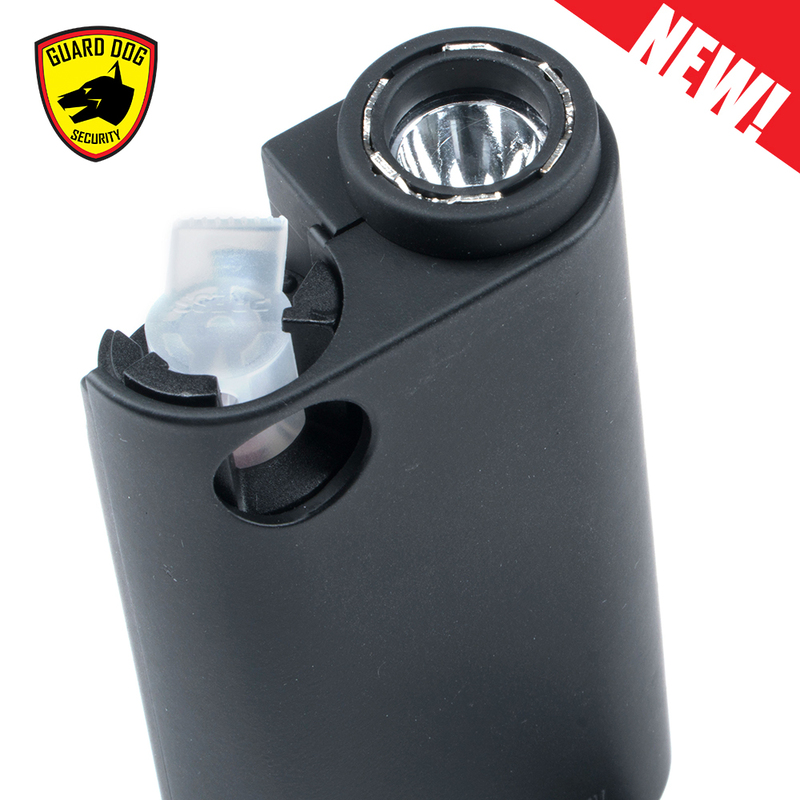 An Olympian defies expectations and performs better than the competition. 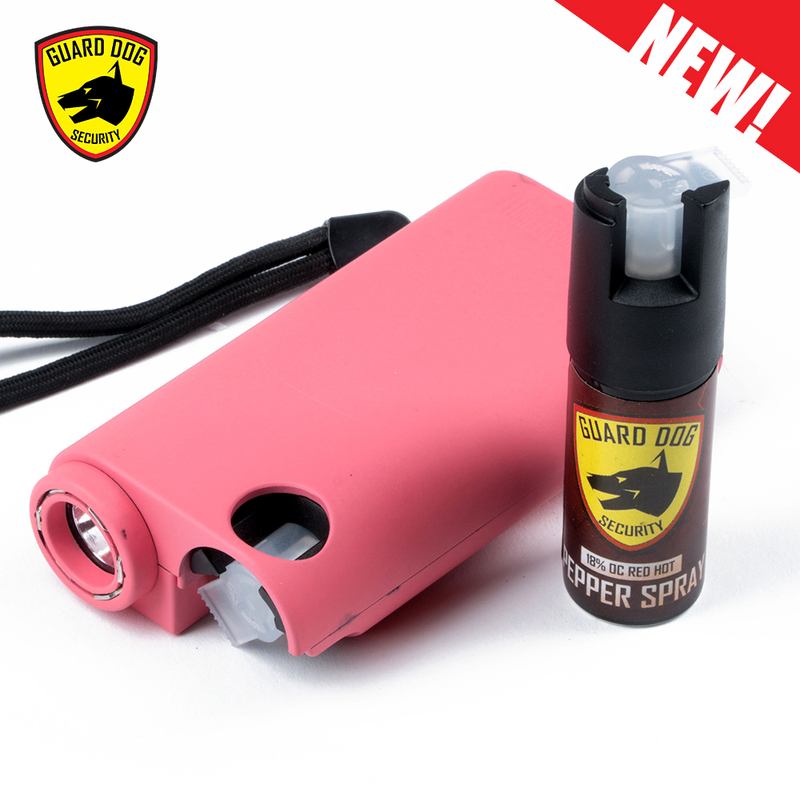 The Guard Dog Olympian does the same as a self-defense equipment. 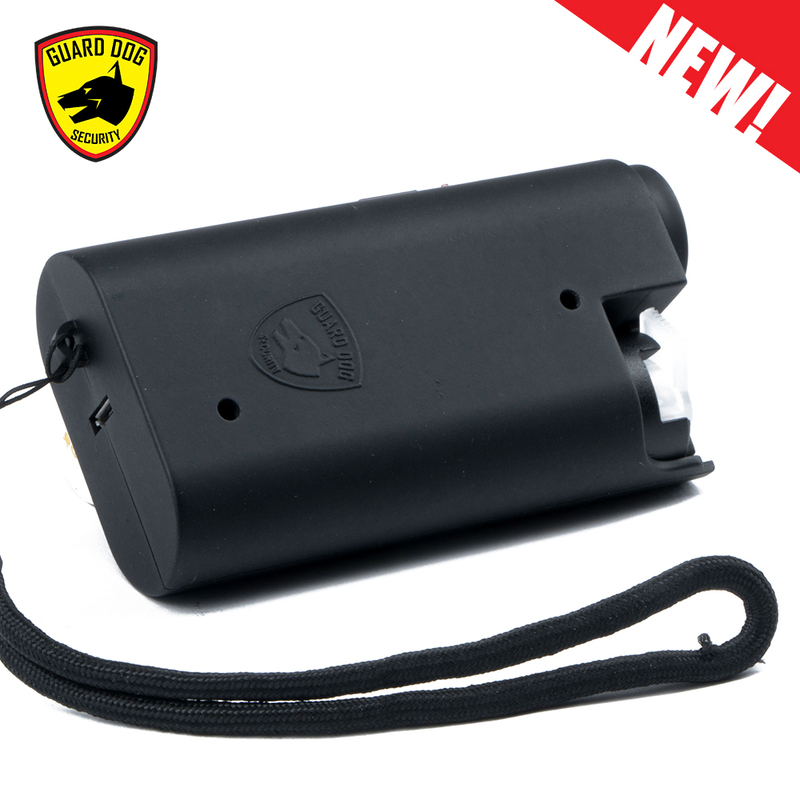 It is a handheld triple threat personal security device built for your everyday carry. 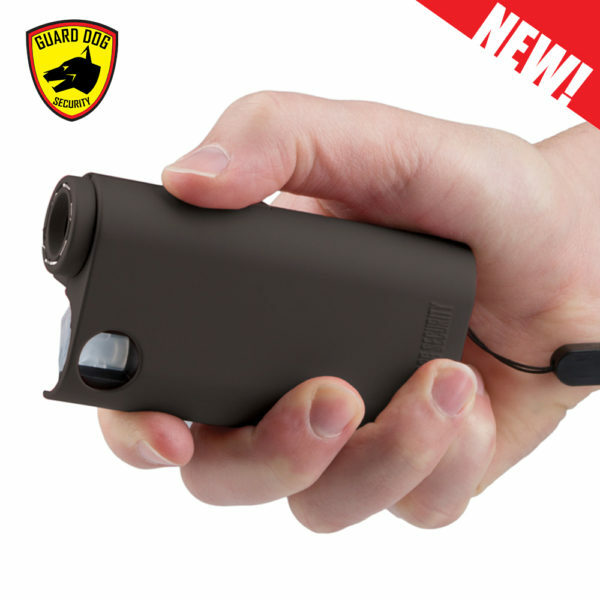 This game-changing legal self-defense weapon combines three vital self-defense tools. 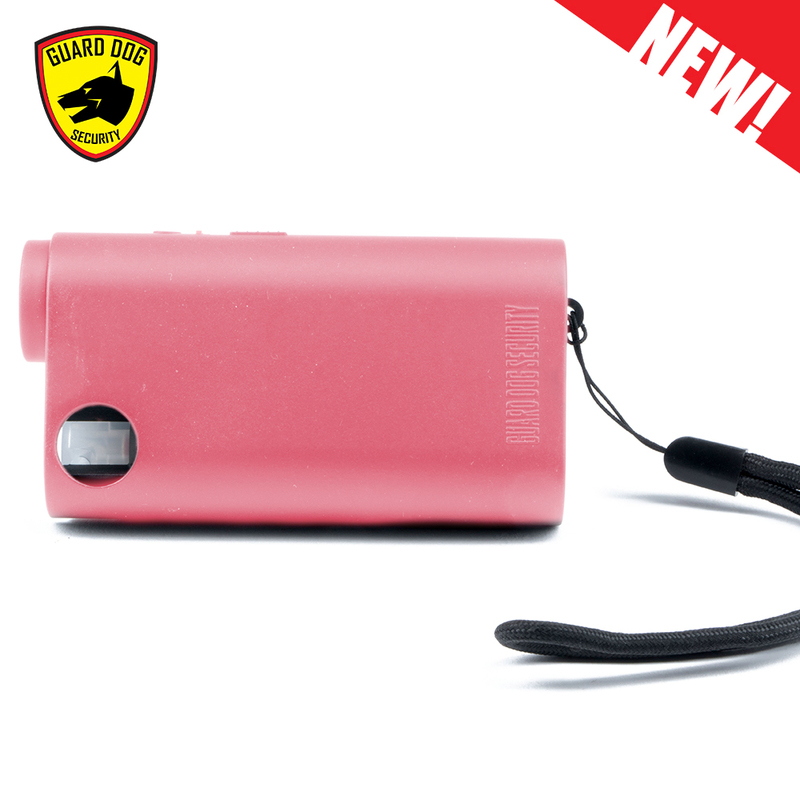 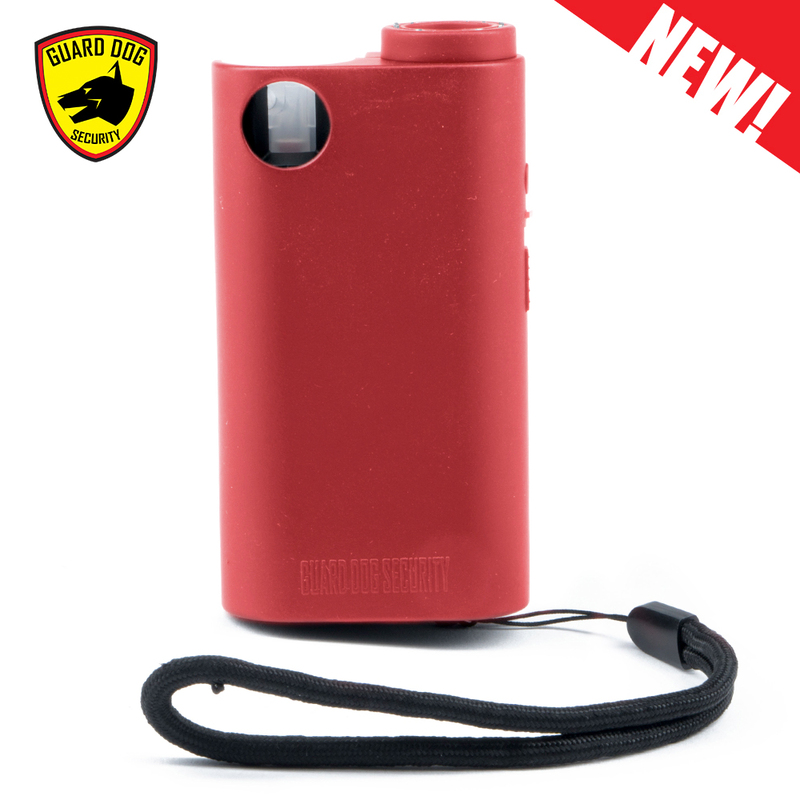 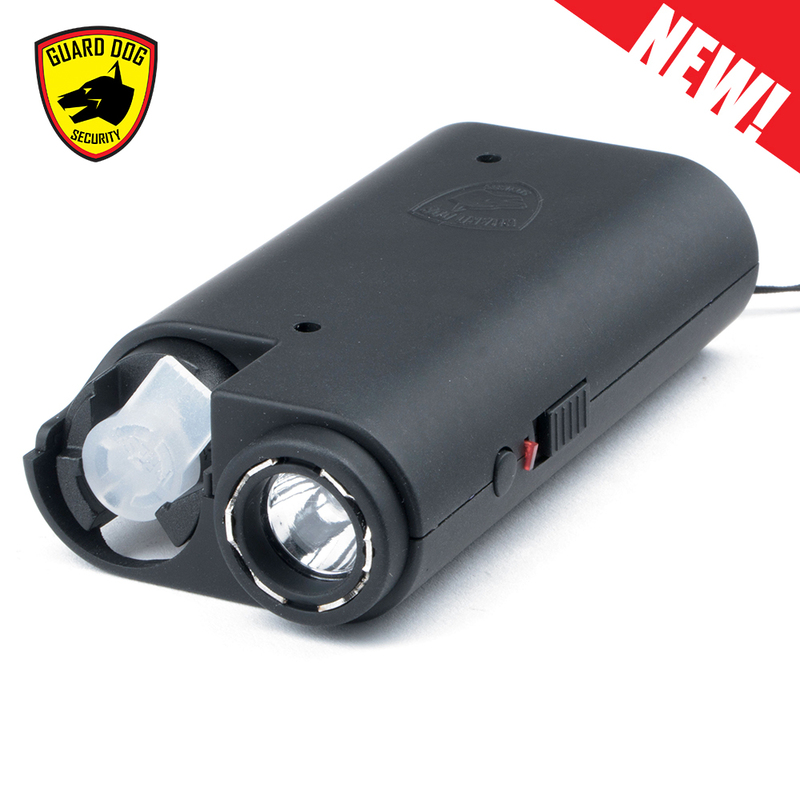 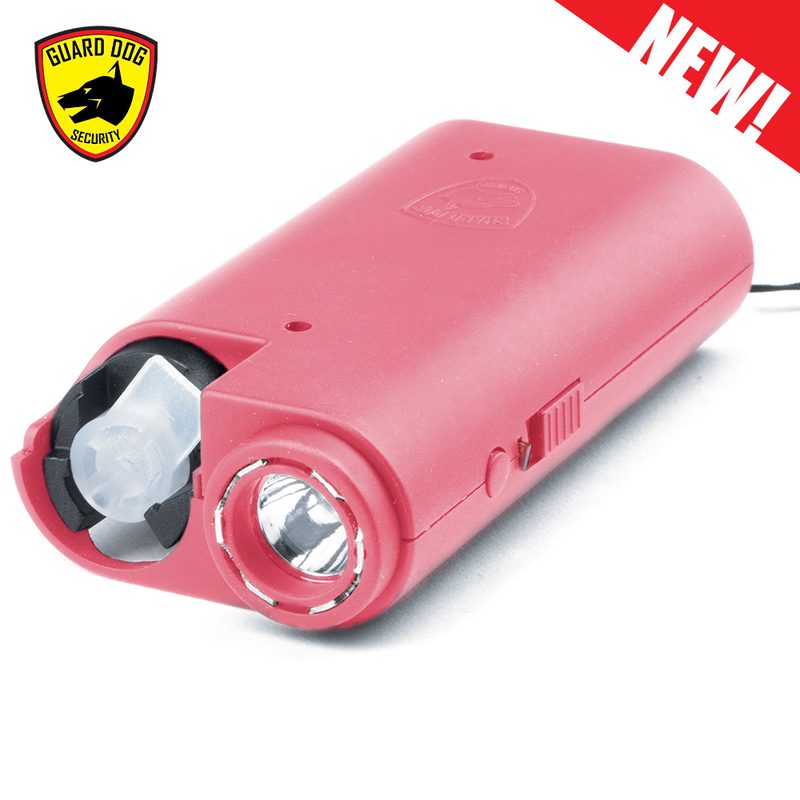 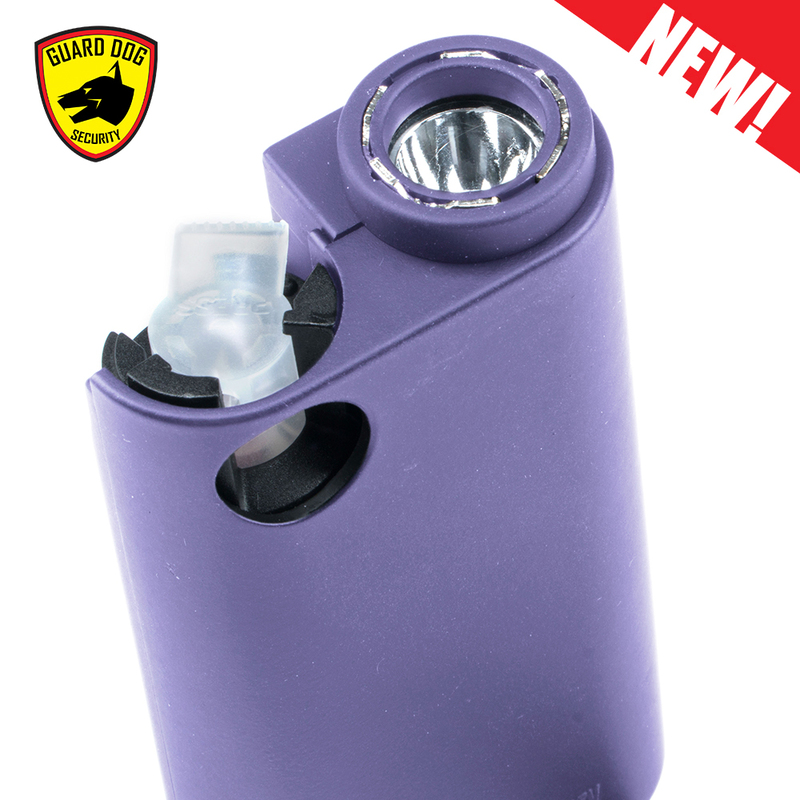 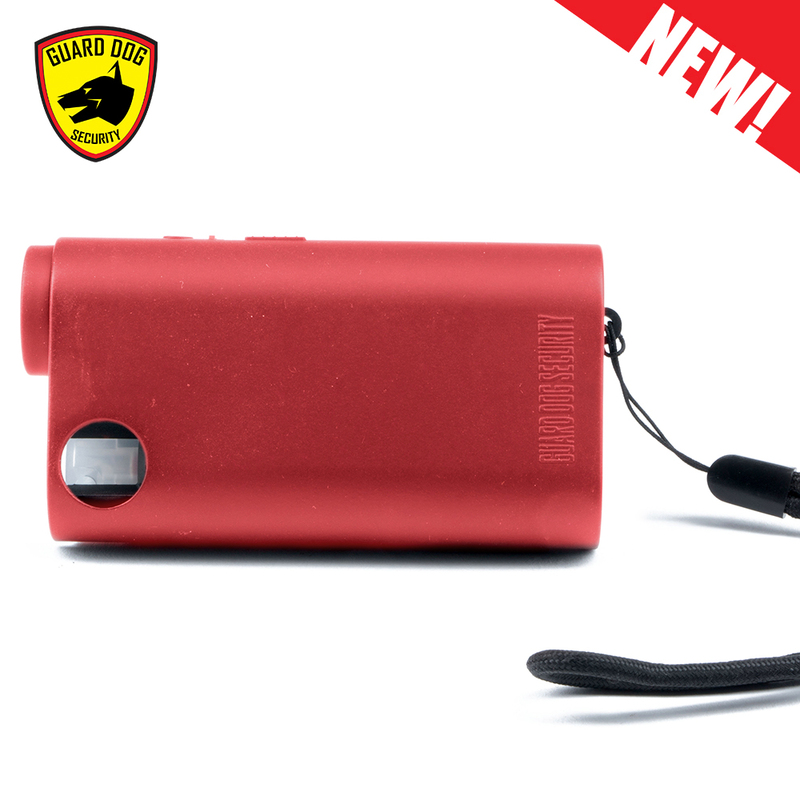 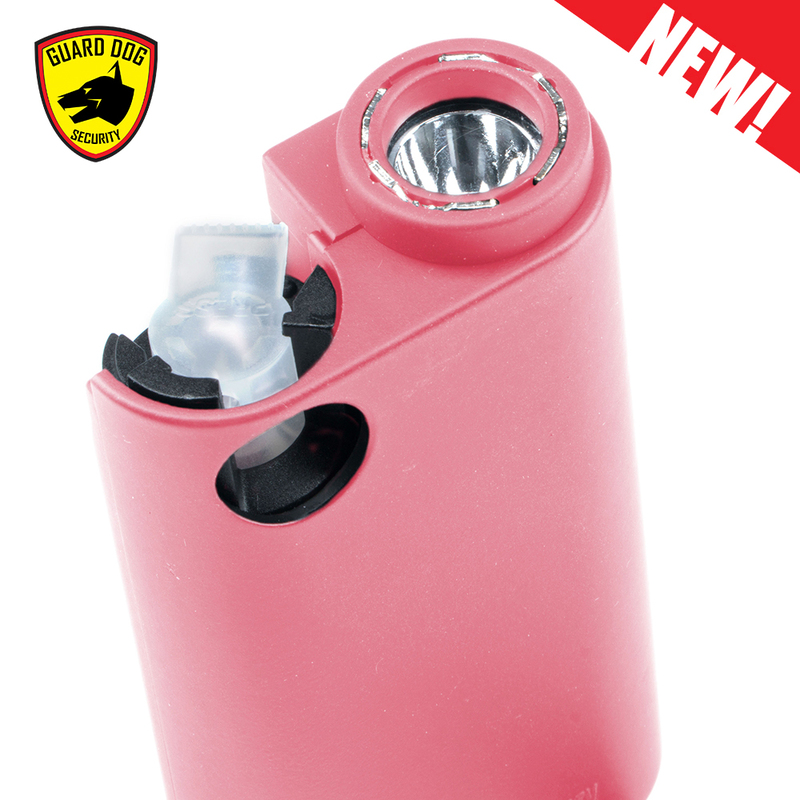 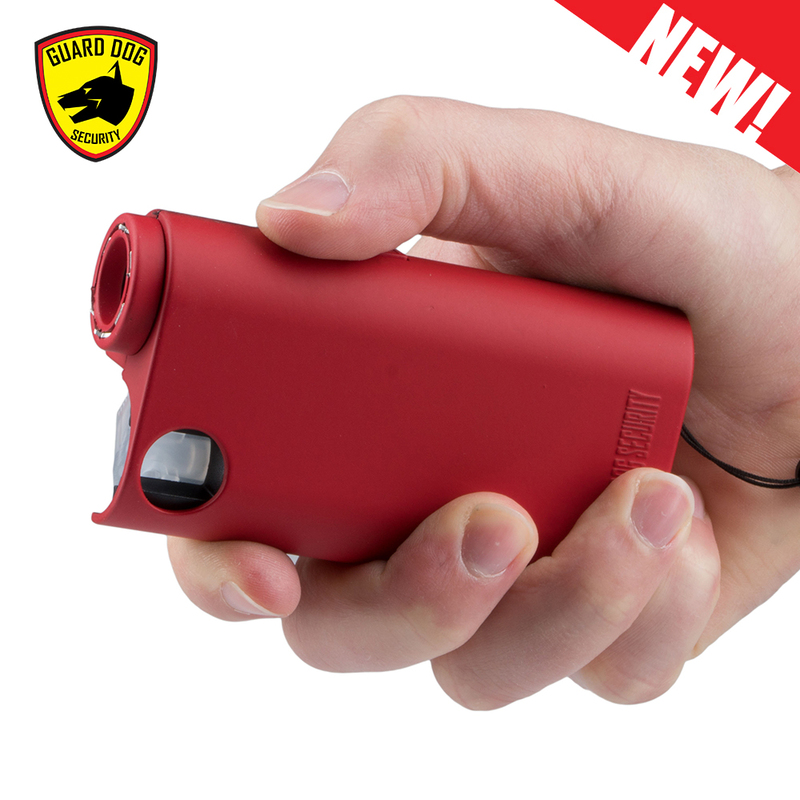 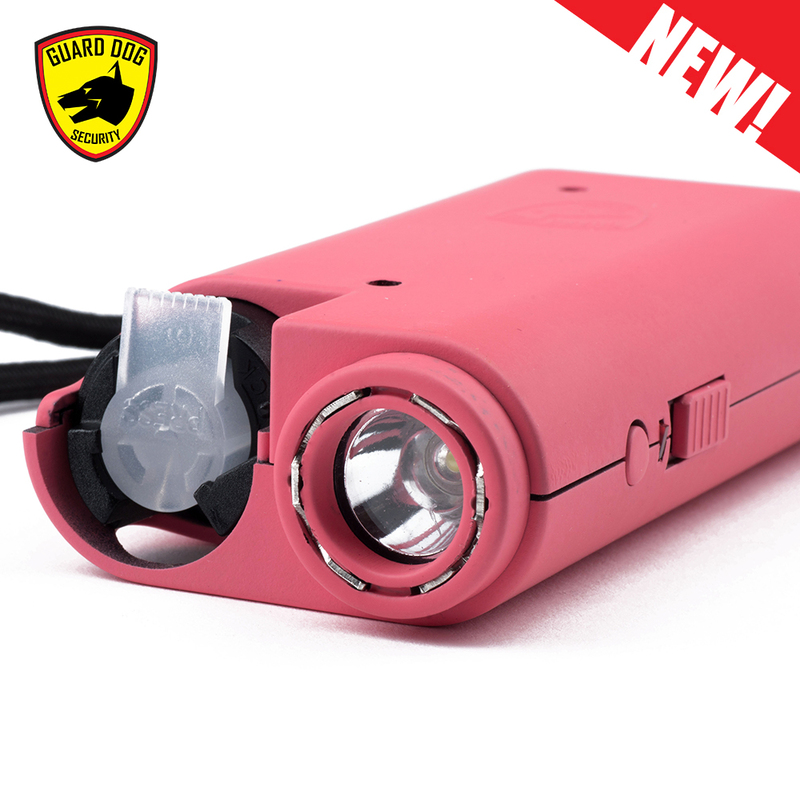 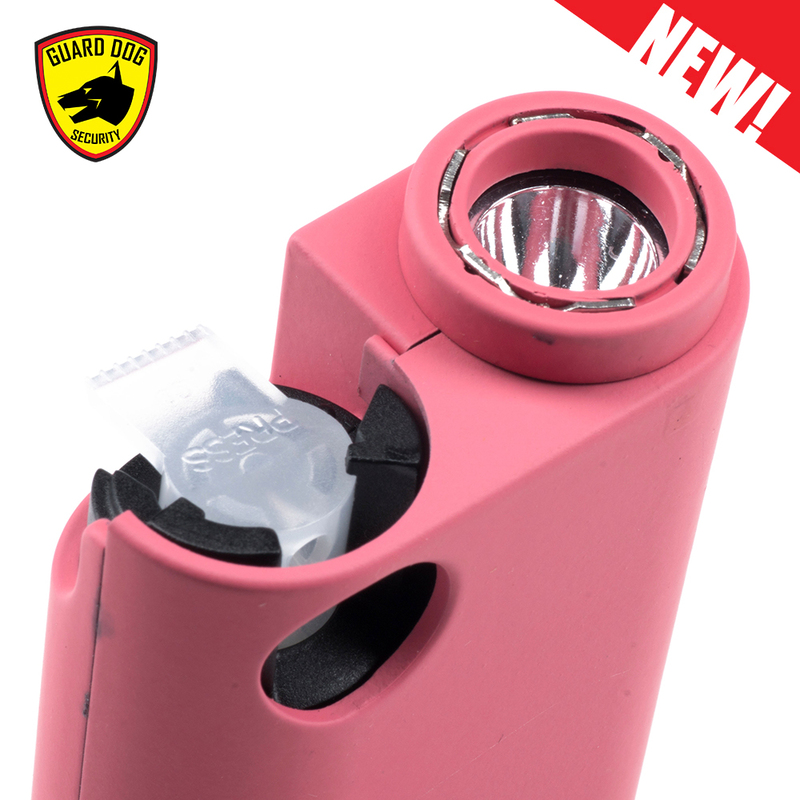 A blinding flashlight, high voltage stun gun, and red hot pepper spray are engineered into a compact, convenient design. 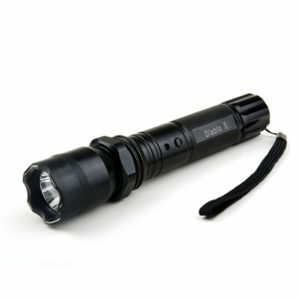 Whether you’re using your flashlight to improve visibility or identify a threat, the Olympian allows you to effectively target and temporarily blind the assailant with 150 lumens of light. 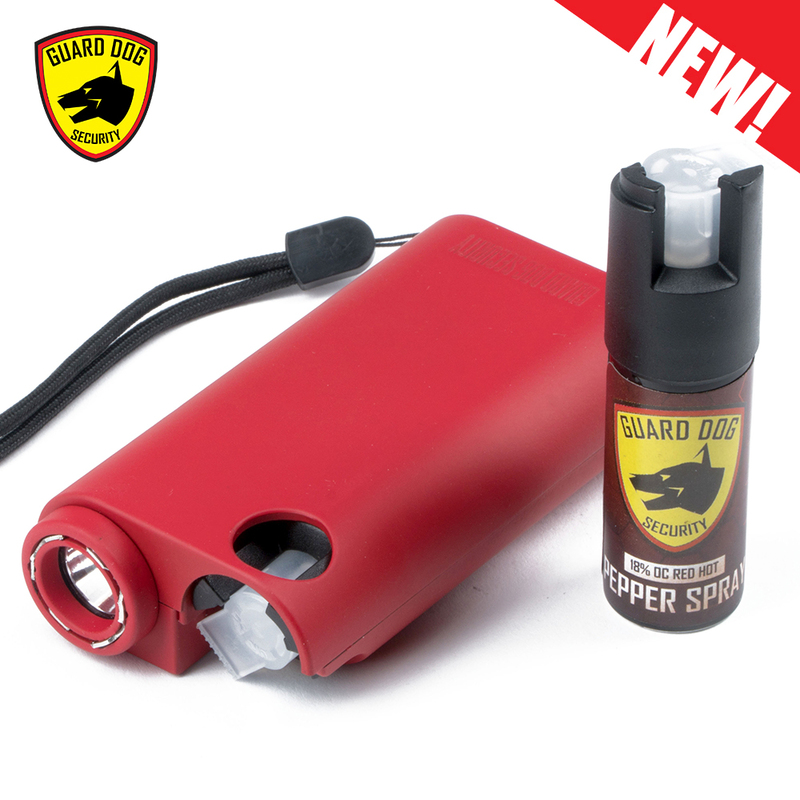 For distance defense, quickly activate the red hot pepper spray, firing up to 16 feet of immobilizing liquid anguish and UV identifying guide. 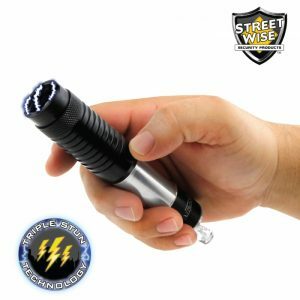 In the event, the assailant approaches near or from behind swiftly utilized concealed stun gun to deliver volts throughout the target’s body. 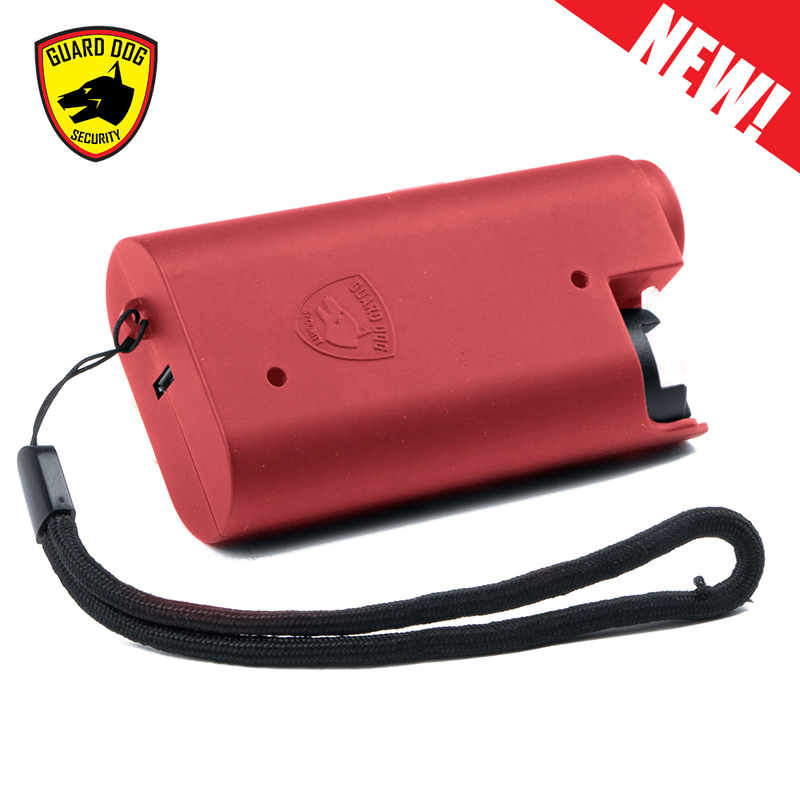 Each unit comes with a leather case, which allows for easy carry and to utilize all functions from the convenient holster directly. 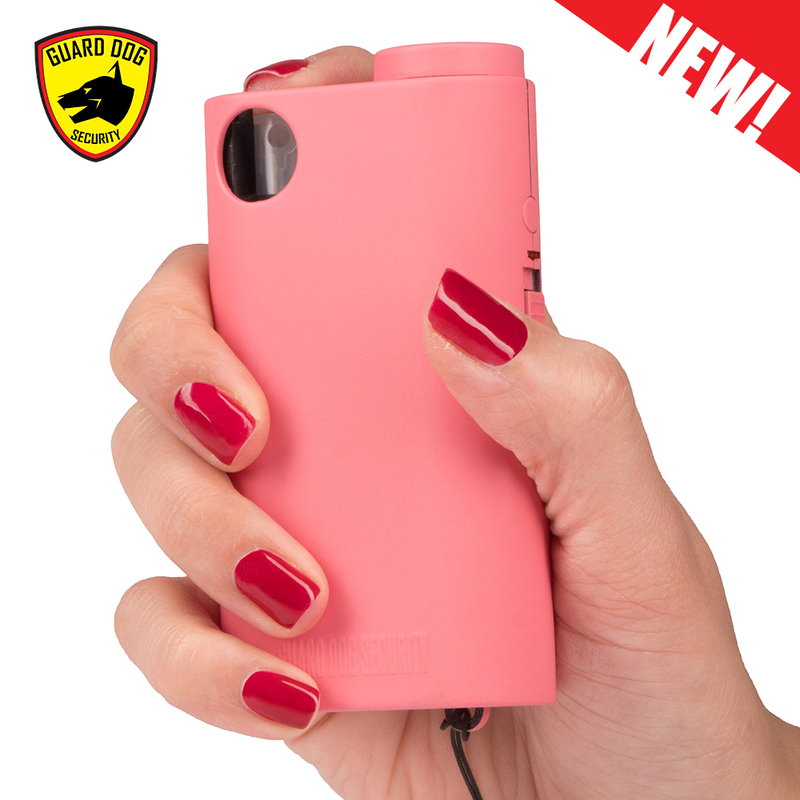 It is built with a firm rubberized grip. 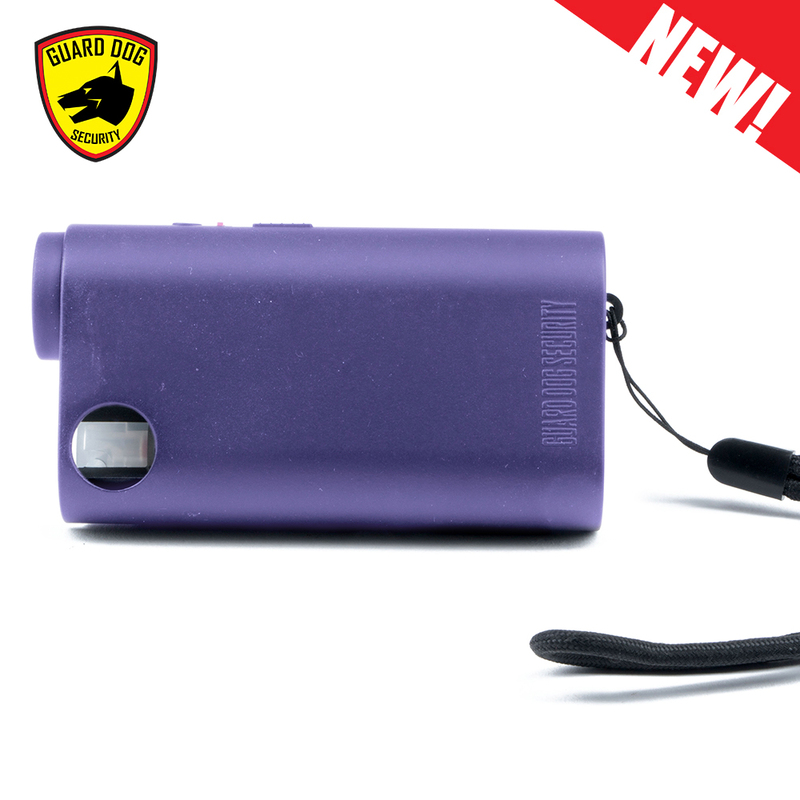 It is also rechargeable and backed by a full lifetime warranty. 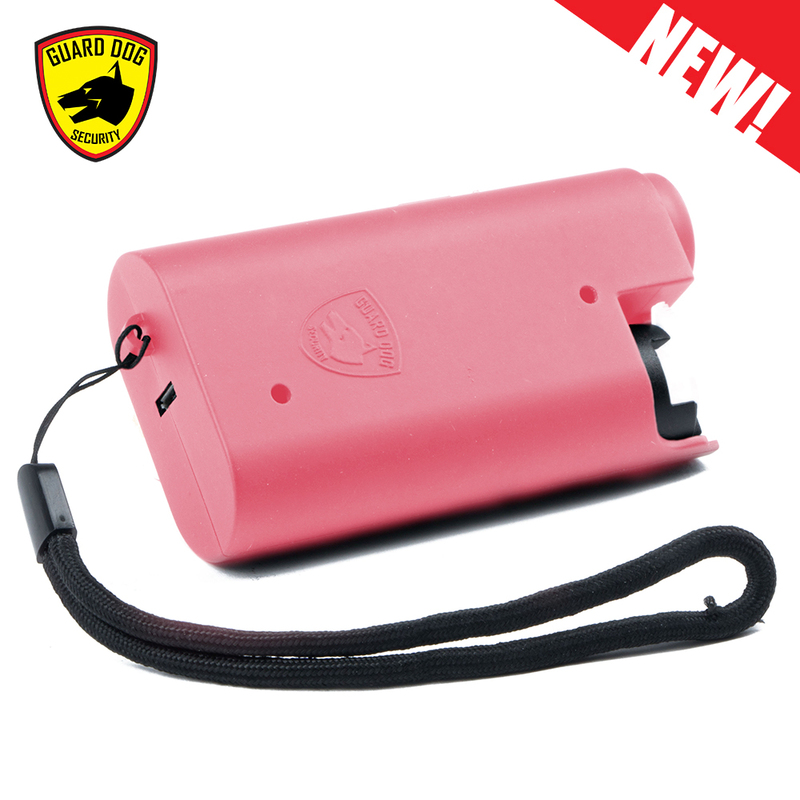 First ever 3-in-1 – The world’s first all in one self-defense product. 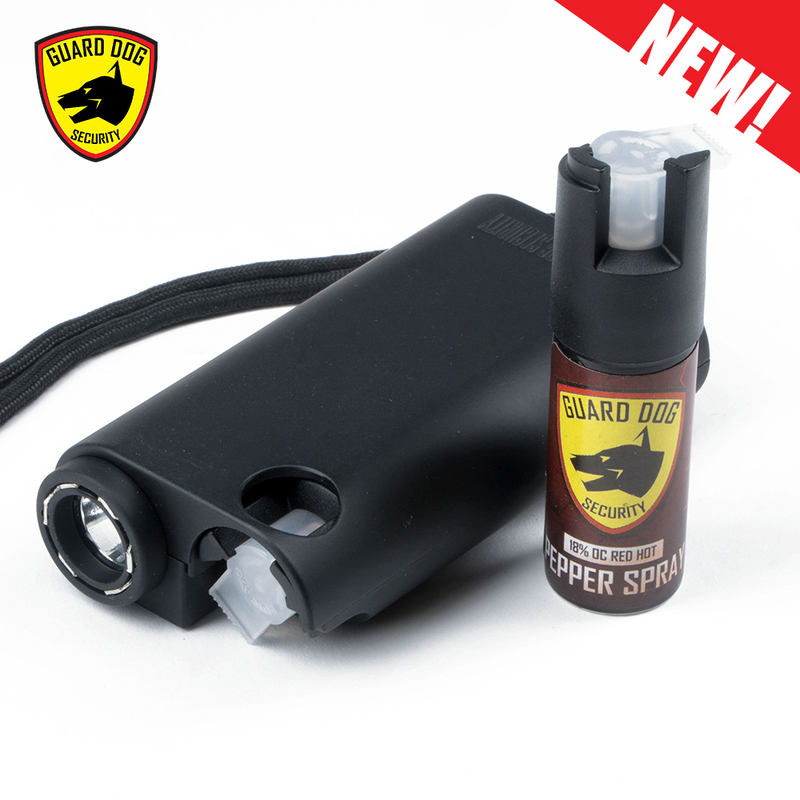 Stun, flash, and spray with ease of access. 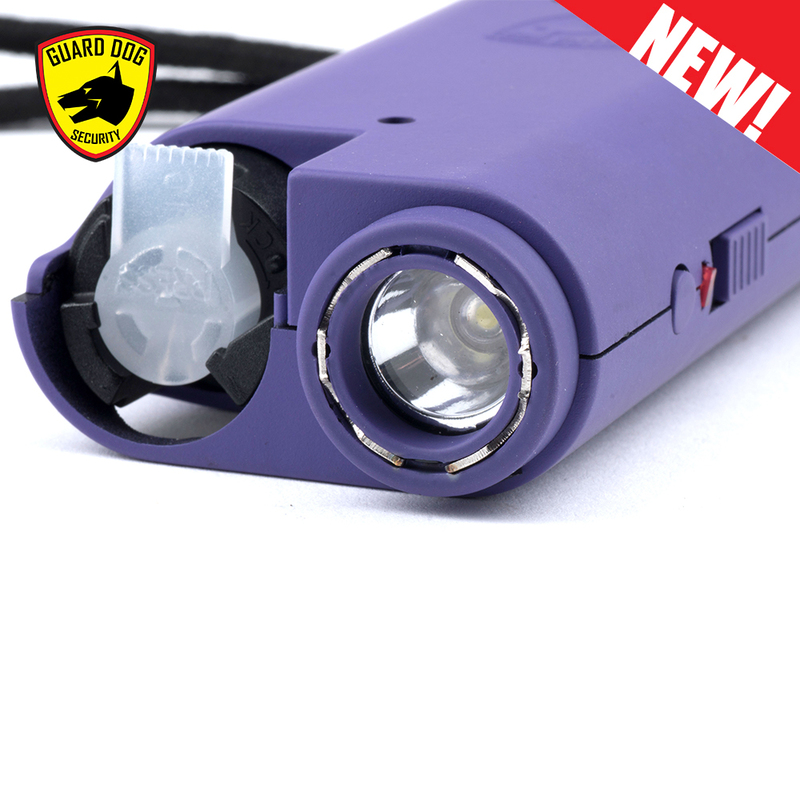 Single hand operation – Designed for single-hand operation of all functions. 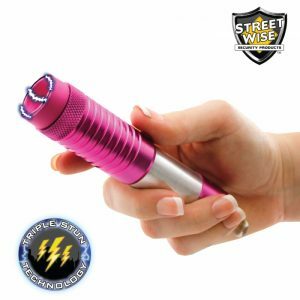 High voltage stun gun – An electrifying stun gun powered with high voltage thrust to simply scare an attacker with its sound alone. 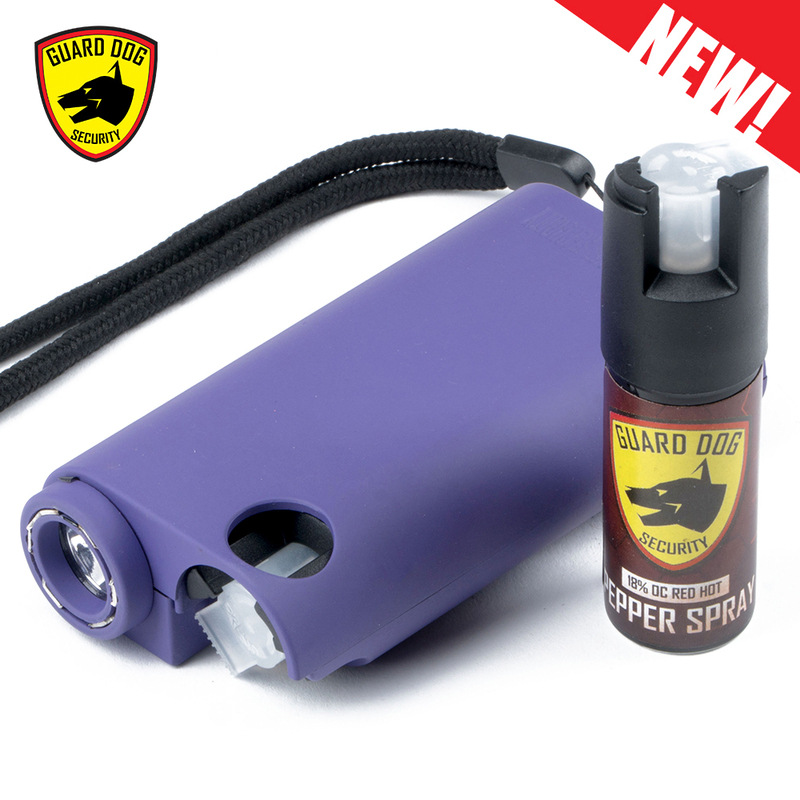 Pepper Spray – Includes the world’s hottest and most reliable self defense spray with UV identifying dye. 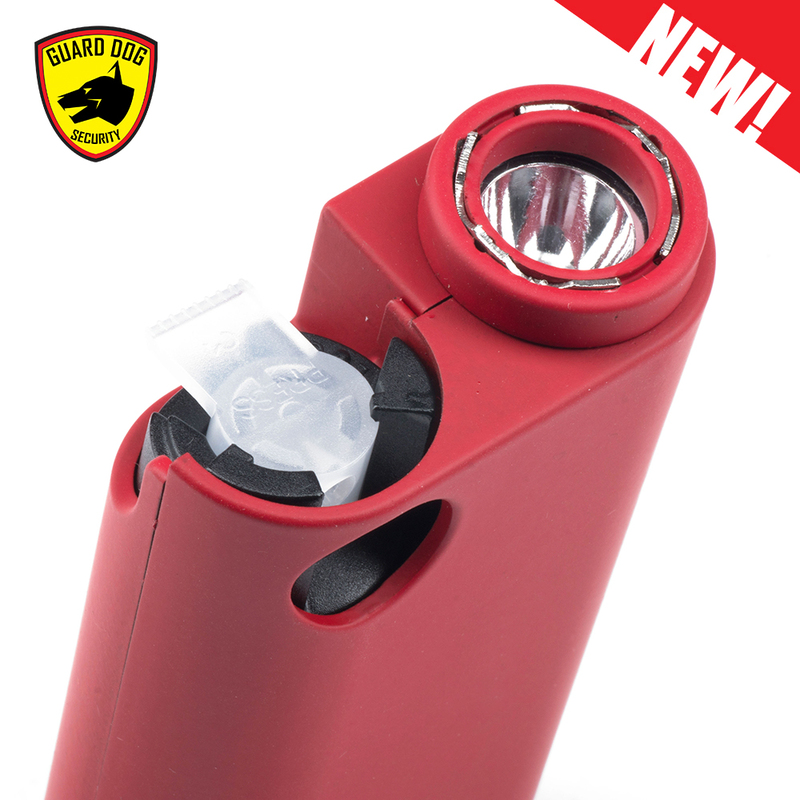 150 lumen flashlight – A high powered flashlight in the palm of your hands. 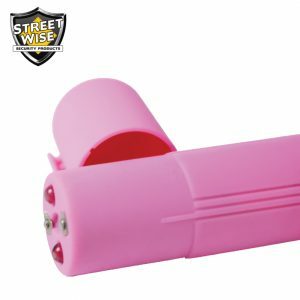 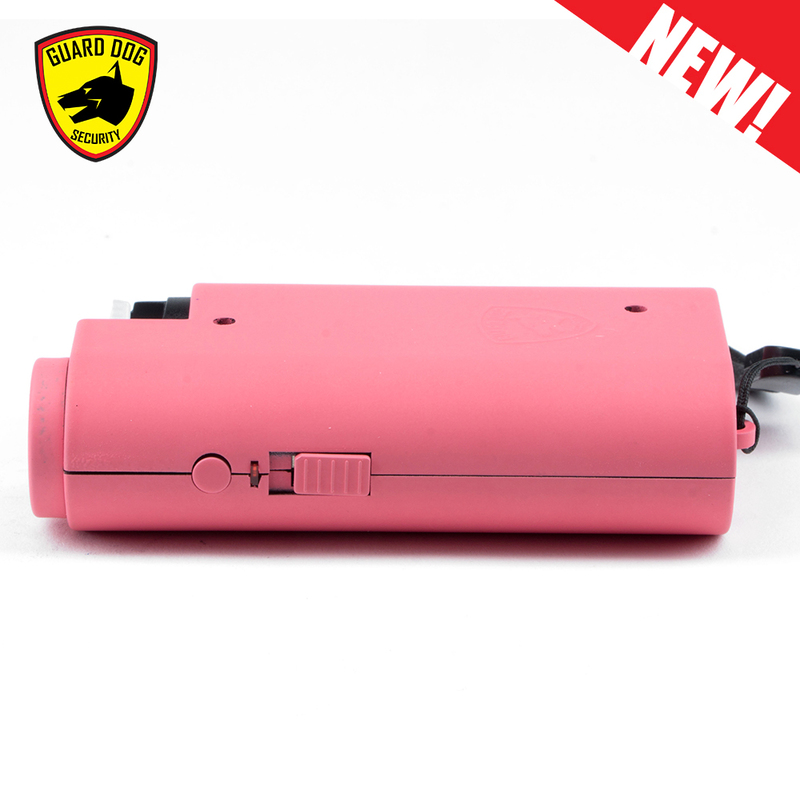 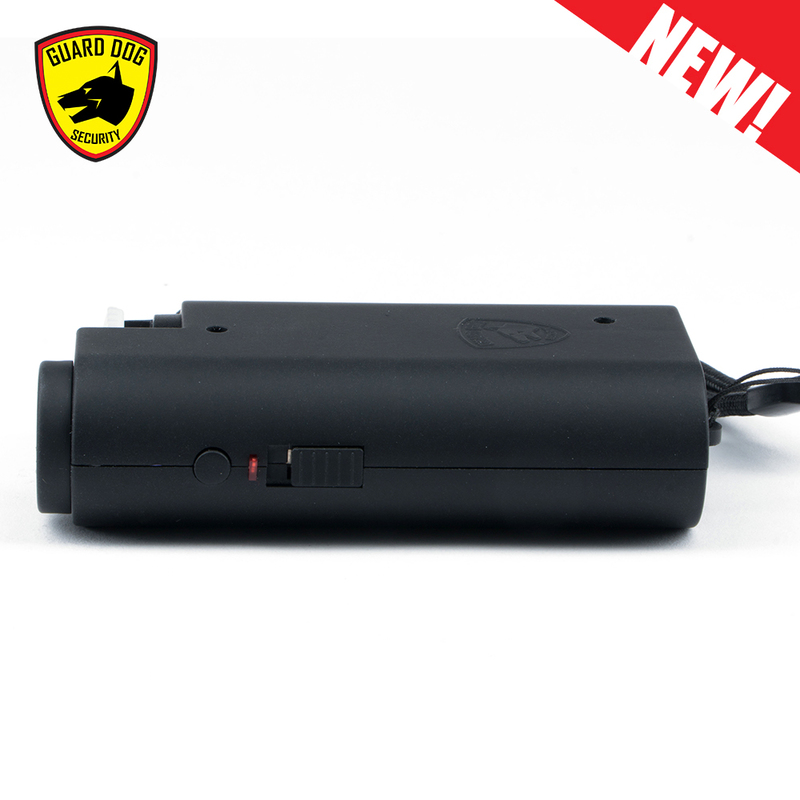 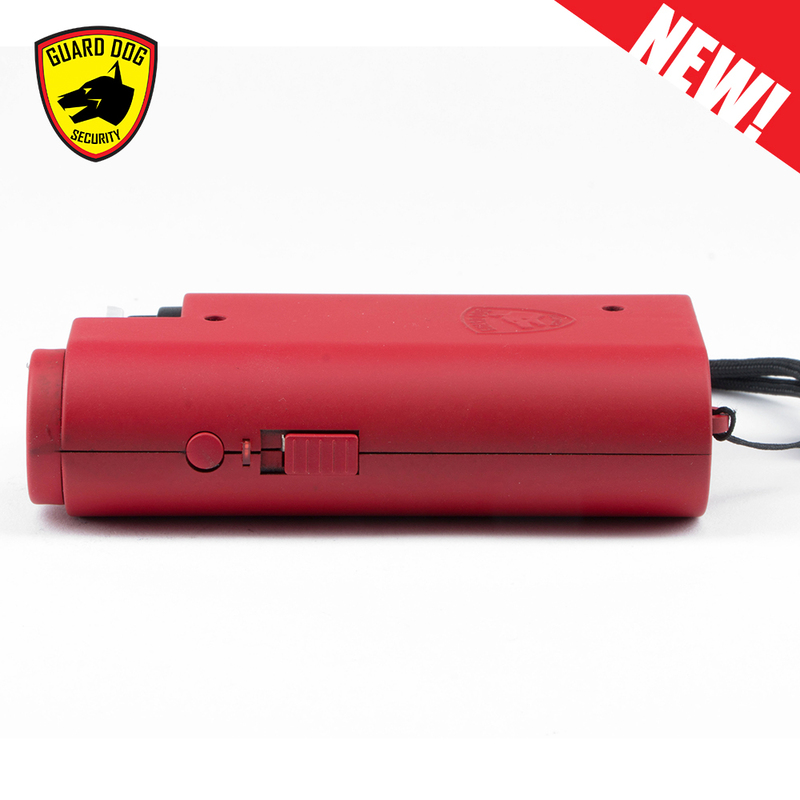 Dual safety switch – One safety switch for the stun gun and one for the pepper spray to prevent accidental discharge, yet built for quick-response. 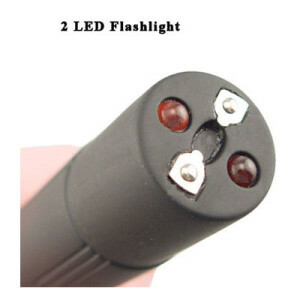 Rechargeable battery – Simply plug in the charging cord when the stun and flashlight are running low and never buy batteries again. 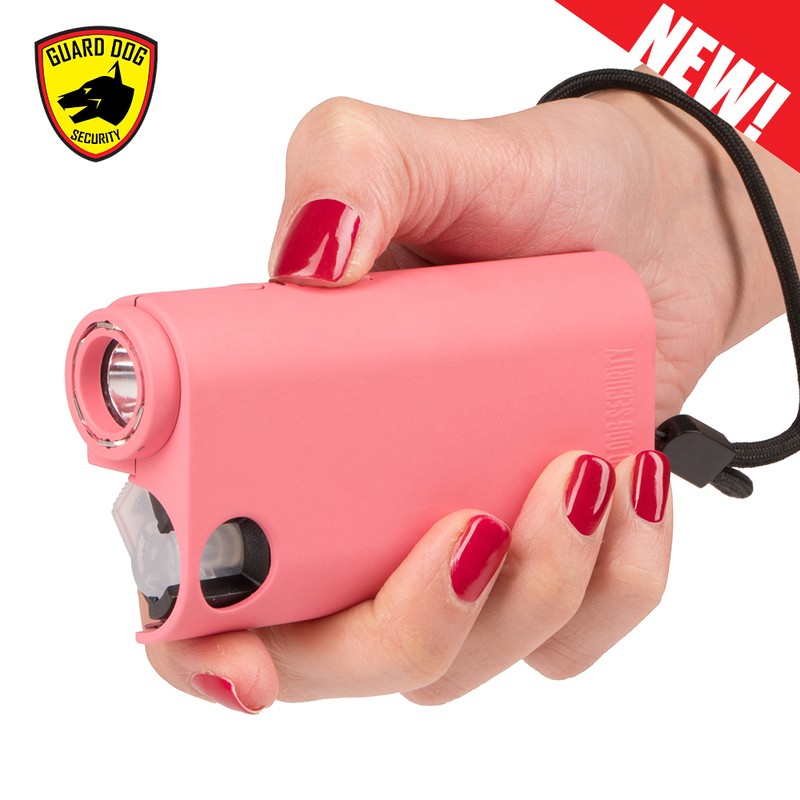 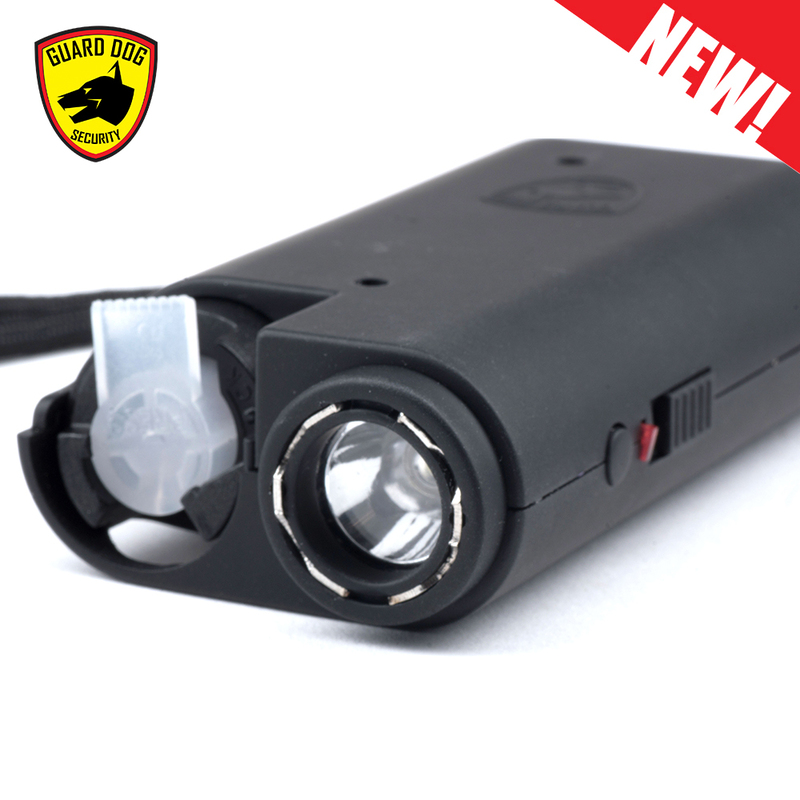 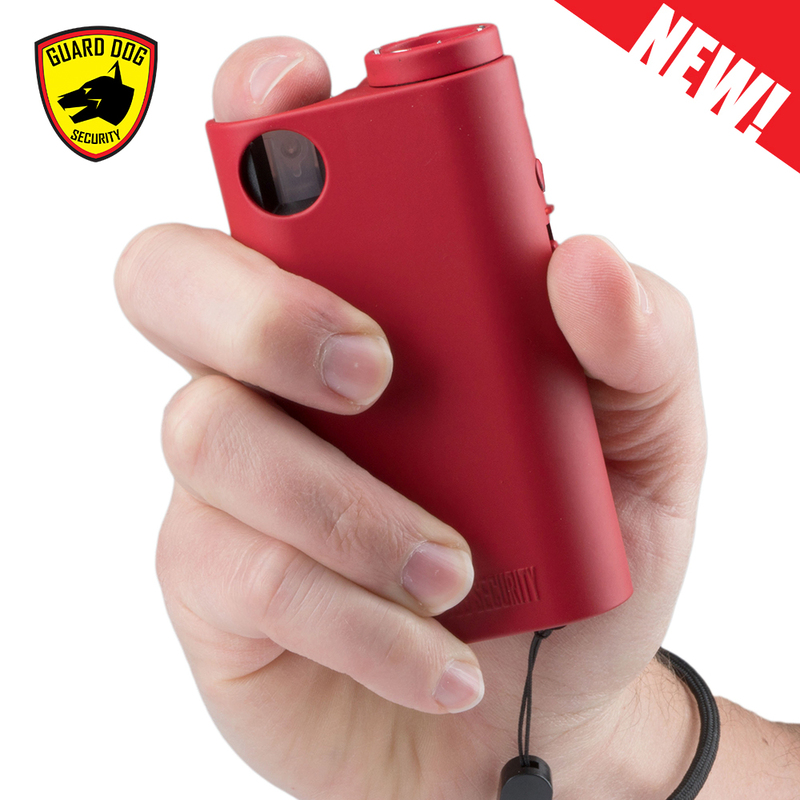 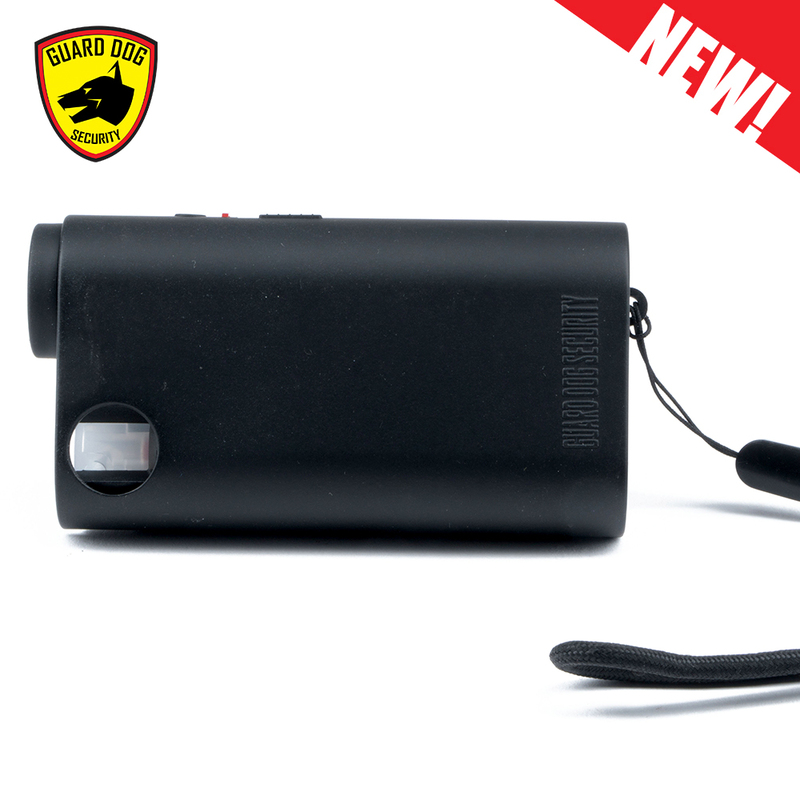 Lightweight – Stun gun, pepper spray and flashlight all together in less than 4 ounces and in the palm of your hands. 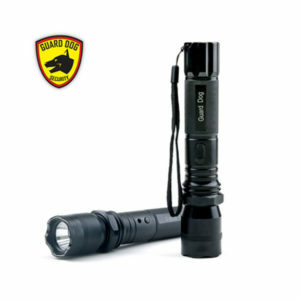 100,000 hour bulb life – Also has a beam distance greater than 50 yards.